Here's a couple of vouchers from the Richer sounds VIP email. 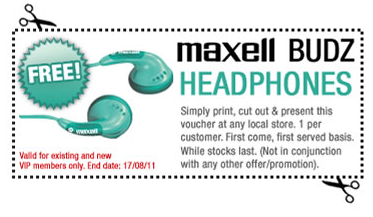 One for free Maxell BUDZ headphones and another for £50 off any receiver over £400. Just print them and take them in store. 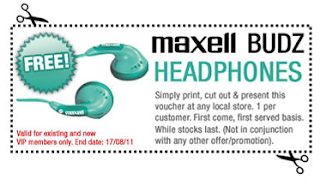 UPDATE: I've posted the new Richer Sounds Vouchers here. Click to enlarge and view voucher on it's own.